In Loving Memory of Landon James! 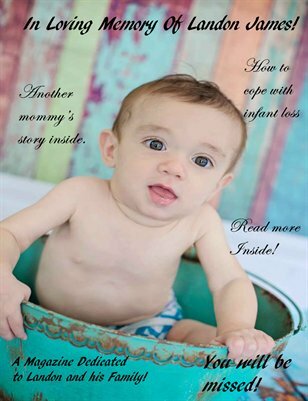 This magazine is in loving memory for landon James. He was a model with nbsm. And he was only 8 Months old! Sids took mr. landon and we will all be missing him! all the money that this magazine makes will be going to his mother and family. please buy a magazine to help the family out. thank you !